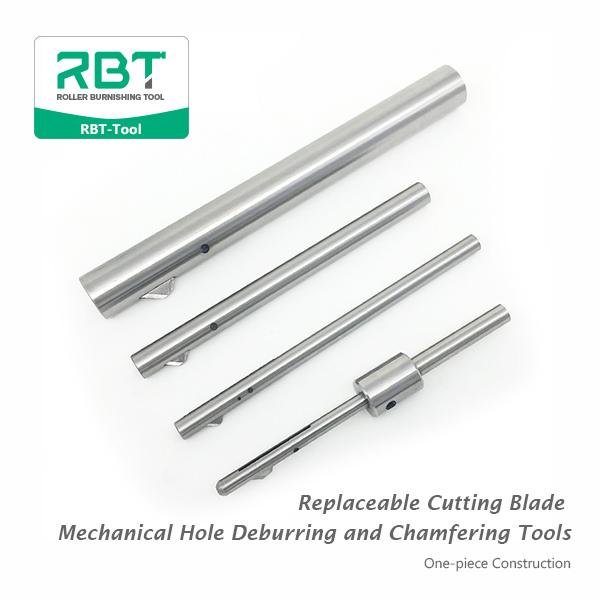 Mechanical Hole Micro Deburring and Chamfering Tools remove burrs on the front, back, or both sides of drilled small holes in one pass. 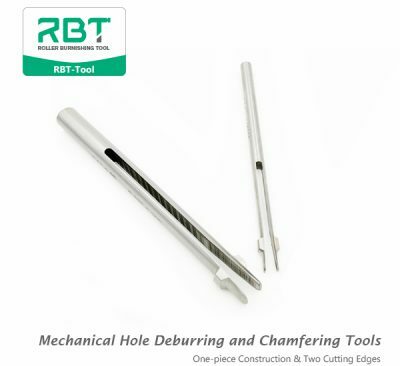 Deburring tool supplier, special sizes can be customized. Micro Deburring Tools for smaller sized holes of medical, automotive and electronic applications demanding continually. 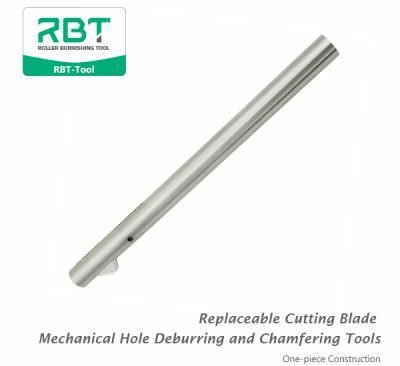 RBT’s Micro Deburring Tools features are inexpensive, replaceable cartridges which include the arbor and blade, and a holder which accommodates all the different cartridges. 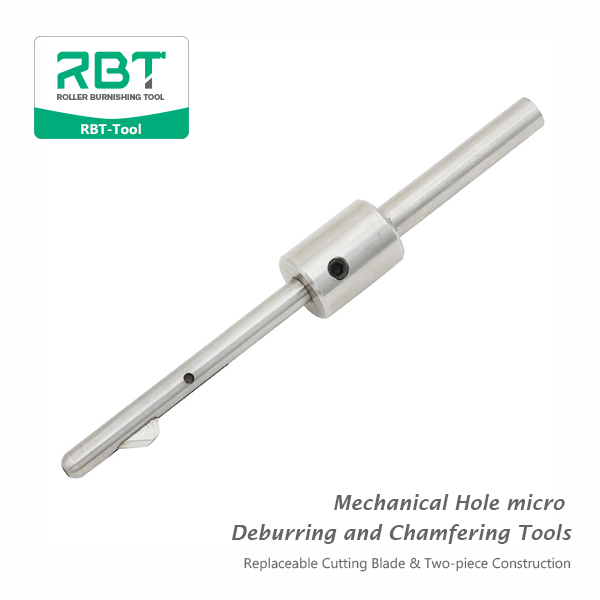 The Micro Deburring Tools can be set differently in order to deburr various sizes of deburring lags, both sides of even the smallest of holes in one pass. The two-piece construction allows you to remove and replace a cartridge conveniently. 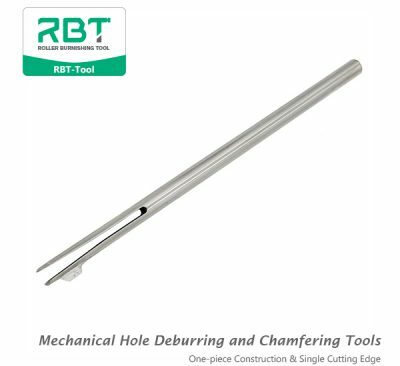 The Micro Deburring Tools can be used in both CNC machines as well as hand drills – special adjustments are not required. 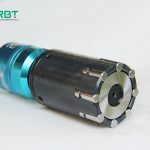 How RBT universal deburring tools works? Upon entry, the burr on the front side is removed due to the spring tension holds the cutting blade in the extended position. 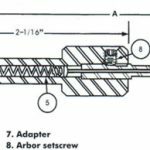 As the feeding increase, passing through the bore the blade is pressed under spring pressure and retracted automatically. (The crowned and polished top surface of the cutting edge will not mar inside bore surface of workpiece). Through back side of the hole, spring tension again causes the blade to extend as it emerges from the internal of the workpiece. On the return stroke, the burr is deburred on the back side of hole. 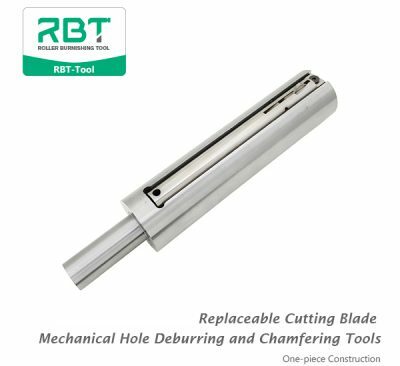 Replaceable Cutting Blade Mechanical Hole Deburring and Chamfering Tools Incredible cost efficiencies.